The term “radar” is generally understood to mean a method by means of which short electromagnetic waves are used to detect distant objects and determine their location and movement. The term RADAR is an acronym from “RAdio Detection And Ranging”. A complete radar measuring system is comprised of a transmitter with antenna, a transmission path, the reflecting target, a further transmission path (usually identical with the first one), and a receiver with antenna. Two separate antennas may be used, but often just one is used for both transmitting and receiving the radar signal. Measuring the level of liquids or solids in vessels is a frequent requirement in industry. 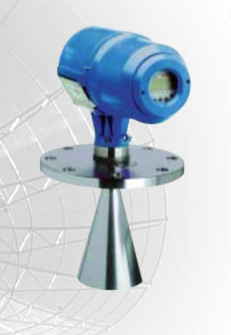 RADAR level measurement is the use of a radar signal is emitted via an antenna, reflected from the surface of the product and the echo received again after a time interval “t”. The document below, courtesy of KROHNE, is an excellent technical reference for a strong understanding of RADAR level measurement. Fundamentals of Radar Technology for Level Gauging from Instrument Specialties, Inc.